Talk given by Hertencia Petersen at March 5 International Working Women’s Day rally in Harlem, N.Y.
Nelson Mandela once said, “Freedom cannot be achieved unless women have been emancipated from all forms of oppression.” It takes a very wise man to understand the role a woman plays in society. My name is Hertencia Petersen and I am the aunt of Akai Gurley, who was murdered by NYPD [New York Police Department] rookie officer Peter Liang on November 20th, 2014. My sister Sylvia will never get to hold or see her son again. She wants Peter Liang to be held accountable for murdering her son. 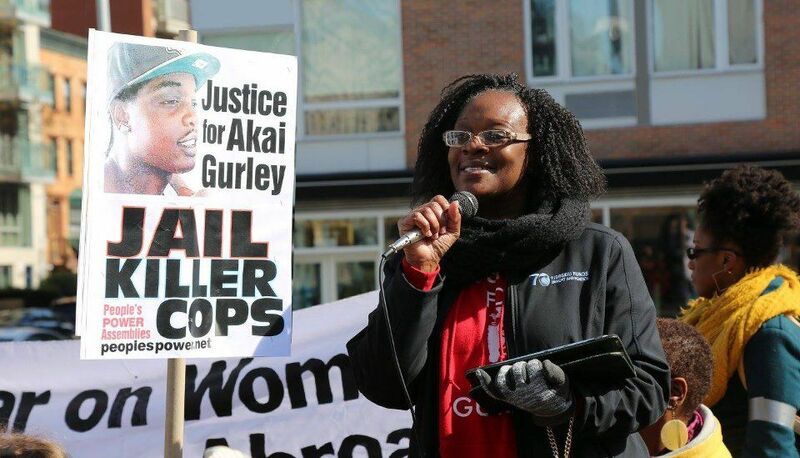 “Where is the justice for Akai Gurley?” she continues to ask. Whether you’re white, Black, Chinese or Latino, you must be held accountable for taking an innocent human life. We must remember genocide is not an accident. Akai Gurley being murdered is not an accident. It’s an honor to be here, surrounded with some strong sisters. As we know, women have always been labeled as the weaker ones. Physically that might be true to an extent, but otherwise I disagree. We only think differently than our male counterparts. We are here today to say we are sick and tired of our loved ones being murdered by police brutality. We are tired of the racist system that has been criminalizing our communities, dehumanizing our sisters and mothers. We have been fighting a system that is corrupted, racist against people of color and [against] women as well. What we have been struggling to get is equal pay; decent, affordable housing; and health insurance, not only for ourselves but for our children; and programs and safe houses for domestic violence victims; etc. The system has put such a strain on our state of mind with oppression, trying to keep us oppressed. Look around and ask yourself, why are we hated so much? Why do we have to fight for everything we need in this world? We must celebrate diversity and embrace unity to fight for our rights as human beings. 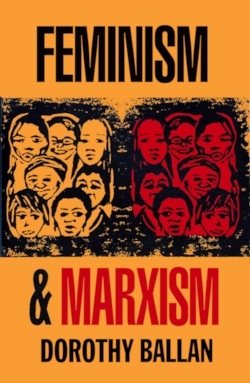 Shirley Chisholm said that in the end, anti-Black, anti-female and all forms of discrimination are equivalent to the same thing: anti-humanism. As women we would do anything to protect our family. If that means fighting against a system that doesn’t respect women, then I say we dismantle this system! Just imagine if we were to unite and stand in solidarity with all people of color, male and female, and fight this system as opposed to fighting each other. We would be a force to be reckoned with.